Olympia FFA celebrated National FFA Week on February 18th through the 22nd. They took the time to share with Olympia High School what FFA is and the opportunities it creates for members. Throughout the week dress-up days included Farmer Flannel, Red (Case IH) or Green (John Deere) day, Hat day, and Blue and Gold day. 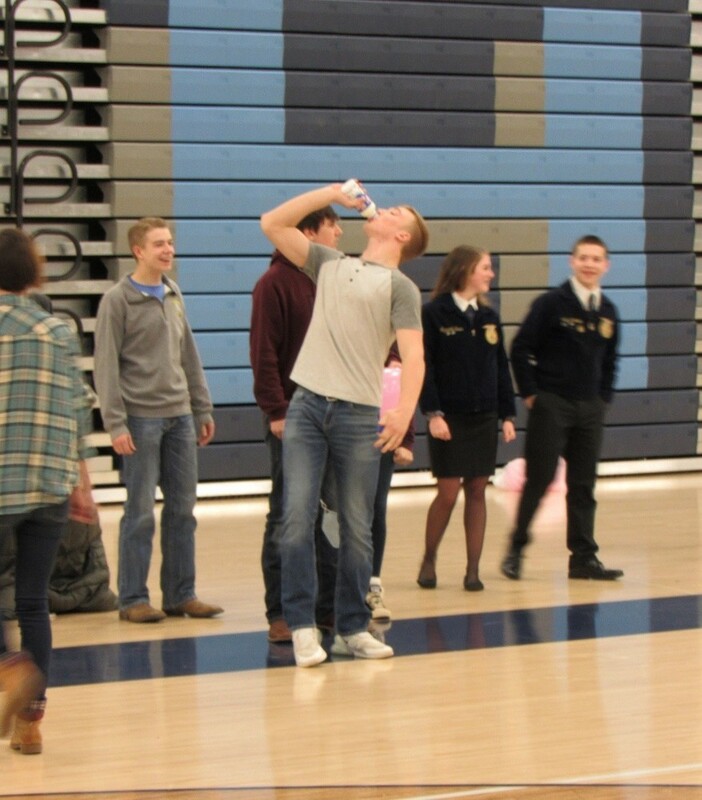 Olympia students were asked daily Ag/FFA facts and were able to participate in lunch time activities. FFA Advisor, Bryce Hoffman and the Olympia FFA officer team wrapped up the week with an all-school assembly. Molly Schempp began by introducing the chapter officer team. Next, freshmen Kari Simpson, Shandre Willoughby, Alex Kindred, and Kailey Little showed their passion for FFA by presenting the FFA Creed. Molly Schempp continued by reflecting on her time as the 2018-2019 Olympia FFA President and spoke of the impact FFA has had throughout her 4 years of membership. Following introductions and speeches, the games began! Three teams competed in the relay races, where they had to finish a bottle of milk, ride a wooden horse, guide a pig balloon, and balance an egg on a spoon. New this year was the dance battle that was won by English teacher, Mr. Brigham. The hog-calling contest was another new event. Walker Spaulding was the winner and earned his advisory a donut party! 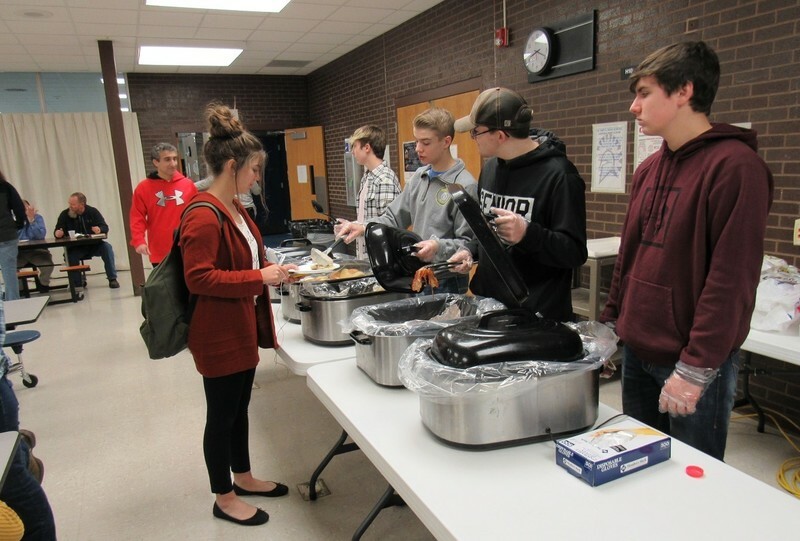 On Friday, a delicious breakfast was made for all FFA members and High School staff, in order to show our appreciation for their year-round participation and support! 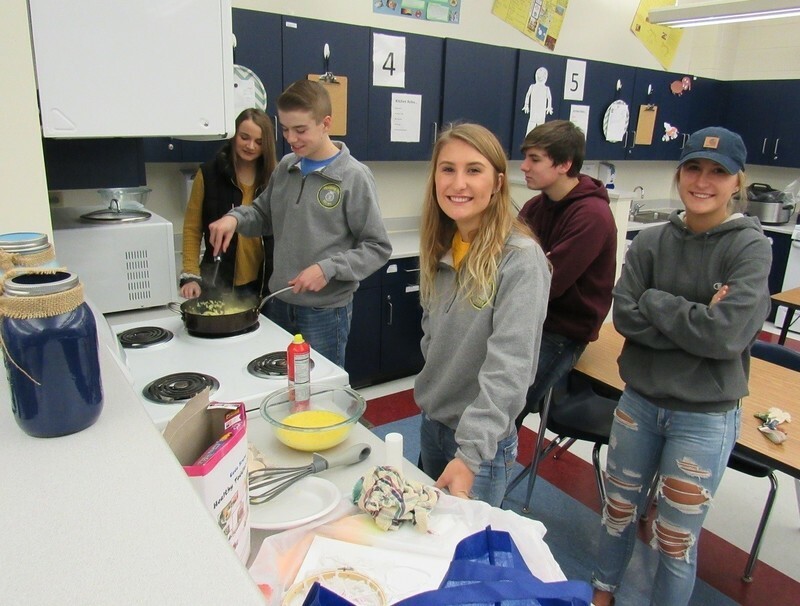 When asked why Olympia FFA recognizes National FFA Week, Vice-President Lane Miller said, “Without FFA Week, students would not recognize where their food comes from. The week is more than FFA, it is about going back to America’s foundation, agriculture.” A big thank you to our supporters in the community, Olympia High School staff, teachers, and finally to all the students who participated in the week’s activities!